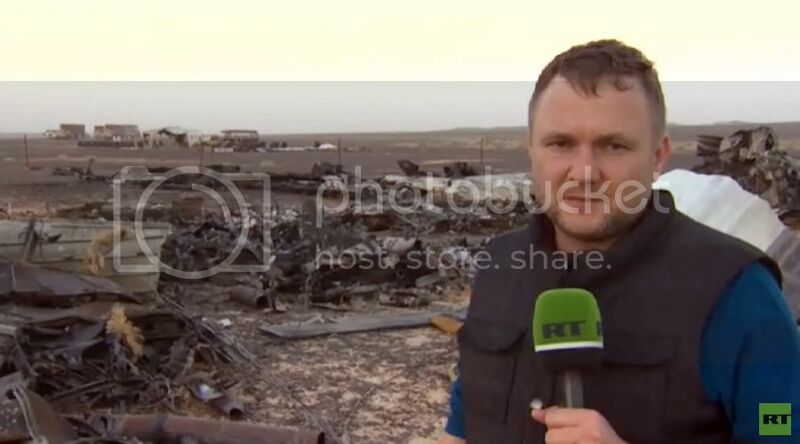 Northerntruthseeker: Russian Plane Crash In Sinai Peninsula: Did Israel Just Shoot Down A Russian Passenger Jet? Updated! Russian Plane Crash In Sinai Peninsula: Did Israel Just Shoot Down A Russian Passenger Jet? Updated! My comment: Interesting it is that a satellite was looking in just the right spot when that happened! Interesting indeed! The aircraft has certainly been brought down by an explosion. No if's or buts. With almost 100 percent certainty, it was a missile that did this. And it was an intelligent missile that can analyze a plane and know where to hit it perfectly to assure destruction, it was not a simple heat seeker going after a hot spot. And only scant few nations have such missiles, and in that area, only Israel had them in stock ready to go as part of their national defense, and if it was not Israel firing this from Israeli soil, it was Israeli/American provided. Obviously Egypt has a decent version of this type of missile as well, but it can be flatly stated they certainly did not do this. The type of missile that did this could never have been hidden from Egyptian forces in the area unless it was done with American style expertise, NO WAY would any rag tag band of jihadists do it. NO WAY would any rag-tag band of jihadists know it was a Russian plane and NO WAY would they have ever filmed it, this was done by the pros and the story line is a complete ruse. It was stated early on that there was no way ISIS did it and that there would not be a missile because the missile video did not get released to the public via any venue ISIS uses. That is another smoking gun, no rag tag band of jihadists did this, no rag tag band of jihadists got accurate info on what the plane was, yet there it is, plain as day on video getting nailed, it is definitely real, and that leaves TWO OPTIONS: America and Israel. No way out of it. And I need to stress a point here - it is freakishly difficult to film something like this happening live, no matter how good the camera is. The fact any video of this got made at all shows a degree of professionalism beyond the average joe. The cameras had their limits, but the people handling them were quite good, despite obvious camera shake. It is not a walk in the park to keep a half degree of sky in a camera lens, that takes really good hands which I seriously doubt any hack could ever pull off. It appears to me that professional photographers did this either with cheap tripods or very good supported handheld with mediocre equipment to make it all seem low key. Even high end professional gear properly mounted is hard to hold steady with such a shot, the fact it at least stayed in frame the whole time from multiple vantage points is another smoking gun. Ok, now they are coming around. First they said it was mechanical. Then they said that for some mysterious reason, the plane broke up in the air. Now they are saying it was a bomb in the cargo bay. I'd call that possible, but not the most probable. I still say missile, but if they at least say bomb that will be enough. Why would I say missile and not bomb? Because of where the fuel went, the damage characteristics, airport security, and the problems with getting a bomb aboard in addition to the fact that there is video of this plane exploding in the air. Whoever did this knew exactly where the plane would explode to get video of it, and that requires either a very high degree of sophistication, or complete control of the situation via line of sight and a missile launch. The fact that Israel and America are ISIS, and have missiles that can do this finish my initial conclusion. I would not be surprised if it was a bomb, but still see a missile as more probable.If it was a bomb, it will be possible to figure out. And if it was a bomb, the first question should be: Did an Israeli "security firm" provide the "security" (NOT) for the airport? Israelis have a history of providing "security" that is really just cover for clandestine ops. If it was a bomb, this should be the first thing asked. The fact ISIS took credit for this says it all anyway, yeah, we at least have a bomb now, someone took credit, and who is ISIS? It will be easy to know if it was a bomb or missile. This is easy to determine. If it was a missile, there will be penetration markings where the bent metal turns inward on the plane. If these markings exist, it will prove a missile. And if Russia does the investigation, this will not be hidden. They found these markings on the wreckage from TWA-800 but the whitewash was so extremely well done that they did not become huge public knowledge (though the alternative media did catch this). Why would this all come around in the MSM to the way I said it had to be right from the start, this time? 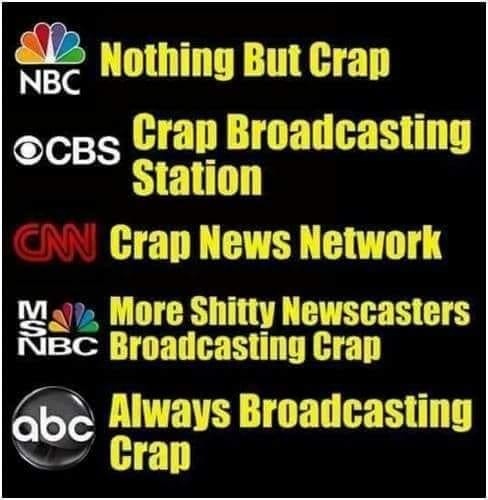 Because Russia is not stupid, is not controlled, and the MSM just can't get away with lying about it this time. I am sure that if this plane was shot down over America it would have been a pilot suicide, or "whirl winds" off of another plane's wing tips that caused it and Russia would not have been allowed any closer to the crash than the Canadian border. We now have bodies and wreckage spread out over an area that is 8 kilometers long and 4 kilometers wide, just like what happens on the ground when someone throws confetti. If it was a bomb in the cargo hold, it had to have used advanced explosives, you would never do that with a pressure cooker. And the other big lie being told was : 2. The plane was a hunk-o-junk the pilot complained about all the time, and he even radioed in a malfunction (during some gray period near the end that is never defined). And I'll tell you why it was never defined: Because the plane went from cruising speed to terminal falling velocity in a fraction of a minute, and if the pilot did get word out of a malfunction, he did so while experiencing no less than 2 g's of deceleration as the fragments of the plane caught the wind and the wires ripped out of the radio. There was no time to assess what happened, and since missile strikes are not on everyone's mind when they go for a ride, he figured something happened with the plane. Well, the plane was NOT a hunk - o - junk. France made it. It was inspected regularly and still within its service life. The fact the pilots were not happy with it because it was hard to start is irrelevant, if a car won't start easily it does not mean that the back doors are going to fall off on the highway all by themselves. And "the tail blew out" lie really irks me, because: It is based upon a single incident where a different airplane did not get a proper inspection after it struck it's tail on the ground during landing, and a big piece blew out of it in flight. This happened ONE TIME in all of aviation history, and now we are supposed to believe that a Russian airline with no history of tail strikes suffered the exact same fate "just because" while it was flying near very hostile territory? Figure the odds, the white wash crew just chaps me. All of the so-called anomalies, such as seam failures and GEE, look at how this ripped out here" are EXACTLY WHAT WILL HAPPEN IN A MISSILE STRIKE WHEN THE WIND CATCHES ON A RIPPED OPEN CABIN, pointing at damage caused by wind shredding the plane after a blast ripped it open and then saying Oh, that's what caused it all is FRAUD pure and simple. The key piece of info that proves a missile strike is the flaming wreckage, having the tail fall off won't rip the fuel tanks open, spray fuel all over the cabin and then magically light it all on fire somehow. But they won't mention that. They just gotta bury this, and it might work for the couch potatoes but Russia is not stupid. Here is why: The plane, which "suddenly fell like a rock" was cruising at 30,000 feet right before it did, AND BODIES WERE FOUND OVER A FIVE KILOMETER RADIUS. Folks, there is only ONE WAY this can happen, and that is if an intelligent missile sought the plane's center of mass, exploded, and threw bodies in all directions from far far up. That is the only way they could possibly be spread out over a five kilometer radius. A bomb in the cargo bay would have to get a lucky shot to do that, and be absolutely HUGE. Not probable. NO MATTER THE WHITE WASH, CASE CLOSED. Now Egypt's "ISIS" is claiming responsibility. This means Israel or the U.S. did it. Since this happened within missile strike range of Israel, well, what do you think? This plane had only Russians aboard, which virtually assures it was only important people aboard because normal flights have people from more than one country on them. Who would know that before blowing this plane up? Certainly not ISIS, if ISIS was the rag tag band claimed, they would be clueless about what they were shooting at. How would they bag the perfect Russian aircraft, and where did such a missile come from? Forget the "engine problem" whitewash, it is unrelated and I looked into this, the crew only had problems starting the engines, once running they were fine and did not have a history of blowing people out of the airplane over a 5 KM radius . . . . . . which would be impossible anyway, an engine is not even able to get shrapnel into the passenger cabin, they are tested for that and France built the aircraft. Update: Israel has stated they had intelligence assets on the ground where the plane went down. This is likely to ruin any investigation and could actually be the cause of the crash to begin with. A Russian Airbus A321 went off radar while over the Sinai peninsula 23 minutes after takeoff with 217 Russian passengers and 7 Russian crew. 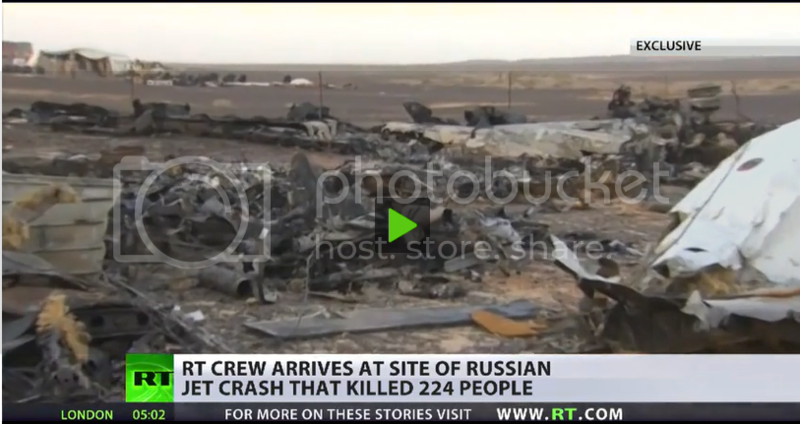 RT has reported the plane had tourists aboard, but in addition to this the plane had only Russians aboard, which strongly indicates this was a very important aircraft flown out of Egypt for a purpose with important people aboard. Most likely they were either important to Russia's government and/or Russian defense or business, this is the only probable way both the passengers and crew were entirely Russian. If the plane was not flown for a specific official purpose, the passengers would have most likely been of mixed origin. RT has reported that the crew complained of engine problems before takeoff, and that they requested to land in Cairo, HOWEVER, the crash characteristics match a missile strike and not engine problems for the following reason - obvious complete structural failure of the airframe caused the plane to drop like a rock IN FLAMES after it hit cruising altitude at 30,000 feet. A plane cannot just fall out of the sky from 30,000 feet like this one did unless the wings are missing, if this was an engine failure it would have taken this aircraft a half hour to crash from that altitude, with full dialog from the pilots all the way down. Instead, radar tracked this plane falling like a rock, with no communication from the pilots while it did so, until it vanished from radar at 5,000 feet and fell in the mountains. There are survivors this time, so there will be stories told if any of them make it. This plane crashed in Egypt, which means the Israelis will be hindered in killing survivors to prevent testimony if they did shoot this plane down. UPDATE: Early rescue teams heard voices in the main wreckage, but are now reporting no survivors. THAT is suspicious. . . . . For now, Russia is playing it cool saying the plane went down due to an engine failure, but this simply does not wash, if it hit 30,000 feet it could have landed in Israel, Egypt, Jordan and possibly other places before it ran out of altitude, or at worst even in the ocean to improve it's chances if it still had it's wings. This one is suspicious to say the least and I would not doubt Israel did this one to settle a Syria grudge and will remain suspicious no matter what the "official story" ends up being. If the black boxes have bad news aboard, this could easily be the spark that does world war 3. If Israel did shoot this plane down, it will be a wrestling match between Israel and Russia for these black boxes, even if via Israeli infiltrators in Egypt's investigation if Egypt does the investigation. The best possible course is for Russia to get there ASAP and handle this one because no one can be trusted to do this type of investigation anymore. If Israel shot this plane down, it would end up being be another "suicide pilot" story if Russia does not handle this correctly. NTS Notes: I must admit that at first I did believe that the most probable cause for this plane to crash was most logically due to massive "structural failure" due to what may have been a damaged rear tail..... But the charred ruins and the way the plane "disintegrated" does not jive with the plane crashing due to break up from structural damage! *Update November 3rd, 2015: Many articles are now surfacing claiming this was NOT a shoot down by a missile attack (Possibly to cover up for the criminal Israeli involvement?) and yes, there are some good points to be made in support of this being a "bomb" on board the aircraft... BUT if it was a bombing, then who is responsible and who has the most to gain by destroying this Russian aircraft? If you add it all up and see who gains, we again are looking at the psycho state of Israel itself at fault! Please take a look at digger for truths website. To me, it now looks like a “ghost town” because apparently he has not had a single comment made on his website for his past 14 posts, which does not tally with my recollections. Also, he has supposedly repeated the title of “time out” but it isn’t like him to be repetitive like that. And also, “out of the blue” his website now features adverts! I seem to recall you saying that you are in contact with him, so can you please check him out to see if he is OK.
One of his recent postings that I very clearly recall has gone missing. Interesting timing on the possible "joint USRahell military" downing of the Russian plane and the Presidential candidates absolute support of Israel. "Cruz is competing with over a dozen other presidential candidates to get funding for his presidential campaign, which mostly comes from groups and business tycoons linked to the Israel lobby. Analysts say that is the basic reason candidates are making pro-Israel statements. Israel’s war on Gaza, which started on July 8, 2014, killed 2,140 Palestinians, about a third of them children. Israeli losses amounted to 67 soldiers and six civilians." Through this highly focused and personalized opportunity to address key issues, US presidential candidates will be able to articulate their vision to a live audience in Jerusalem comprised of supporters and partners of the host organizations, concerned residents in the state of Israel and audiences in the US and around the world through US and international televised broadcasting groups, online and print media. The forum in Israel will accomplish the following: "
USrahell are doing everything possible to make Russia retaliate so they can have an excuse to go full wartime. NTS, your opinion of your neighboring country is very justified. I am an older American who despises my own government, but have to stay in the USA for whatever these vile power holders plan do to Americans, too. I can't even travel to Canada freely as my passport is expired. Americans have lost even that freedom that we used to enjoy. See Gordon Duff, Veterans Today. The Kazharian pseudo jew satanic mafia must go. They state that they will set off nukes in every city of the world if they go down. I say so be it. How many thousands of millions have been murdered by these seeds of Satan. And any left should be hunted and exterminated. And their bible, the Talmud.